This book reveals how readers can cope with their feelings of frustration, boredom, or loneliness, and offers a unique step-by-step program to stop emotions from interfering with eating habits. 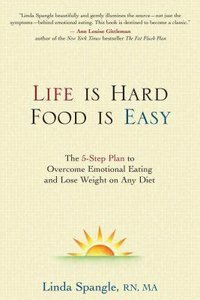 About "Life is Hard, Food is Easy"
Spangle is the founder and director of WINNERS for Life, a weight-management program in Denver, Colorado. Spangle received her Bachelor of Science degree in nursing from South Dakota State University, and her Master of Arts degree from the University of Northern Colorado.